I think our movie club was a fantastic idea. You know how there’s been a trend around book clubs? People now need to form movie clubs. Our only criteria on movie choice is that the film has to be well-regarded or ranked somewhere on the American Film Institute’s list of best films. This has us going back to the classics which I think more people from my generation should be doing. On Sunday, we watched the 1950’s movie classic Sunset Boulevard with Gloria Swanson. I know she was a famous actress during her times, but the only reason I know her is because I’ve read she was the mistress of Joe Kennedy, the Kennedy patriarch who craftily influenced the political careers of his sons JFK and RFK. This was all way before my time, but she must have been one damn good actress. 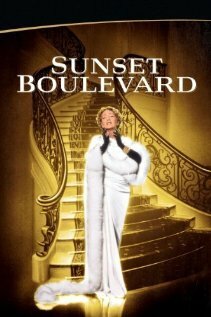 If Sunset Boulevard is any measure, she killed it in the starring role as an aging, washed up, and delusional former starlet. The last line of the film is, “Alright Mr. De Mille, I’m ready for my close-up.” This is the movie where it comes from. Had no clue. I pulled these interesting tidbits from Wikipedia.